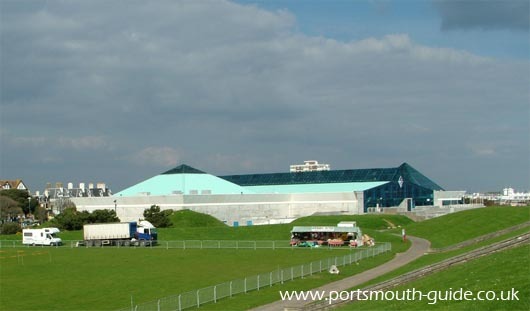 The Pyramids Centre includes a tropical pool which is heated at 80oF, there are 2 super flumes, side winders, toddler's pool, animal slides, fast food centres, cafe and bars with views of the Solent, pool side amusements, gift shop and inflatables. You can become a member which entitles you to half price membership after visiting once. The Pyramids Centre is located on Southsea Seafront and also features a Gym, Spa and Soft Adventure Play area.